Contemporary mainstream economists see social wealth as the sum of individual incomes, but for three centuries many economists saw wealth as consisting of the public and private resources of a nation. This led them to explore the idea of unproductive labour, which provides a nation with an individual income, but does not contribute to an increase in social wealth or help to foster development. 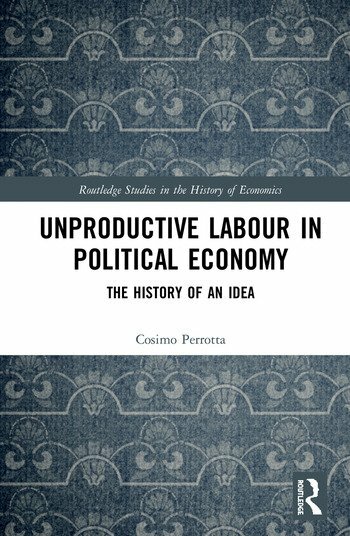 This book analyses the evolution of ideas surrounding unproductive labour, offering an unprecedented history that guides readers from the work of Petty through to the present economic crisis. This volume explores the work of several key scholars, including Smith, Petty, Marx, Ricardo, Mill, Say and Schumpeter. This book is suitable for scholars and researchers with an interest in the history of economic thought, labour economics and economic philosophy.